Last week I finished my Journalism degree at Falmouth University, and what better way to celebrate than buying make up! 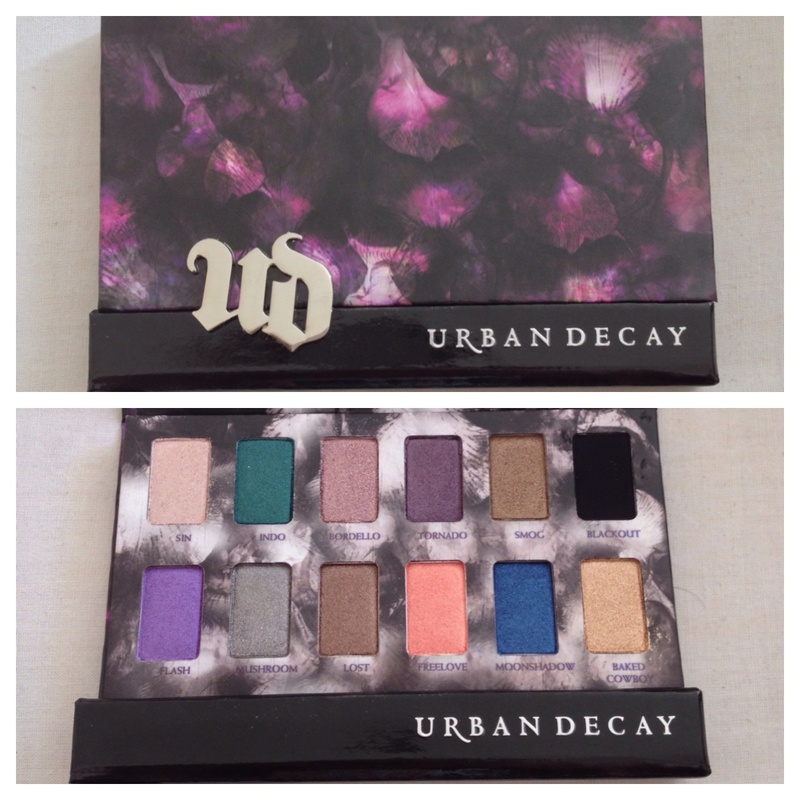 I considered a make up palette from Zoeva and looked at some Makeup Geek shadows but I really wanted to try a palette from Urban Decay because I’d never tried any Urban Decay products, mainly because of the prices. But this Shadow Box palette which has 12 shadows in is just £23! The shadows are all shimmer, ranging from gold, green, peach, champaigne, browns, black, silver, and purple colours, so it had a great range of colours to play with! 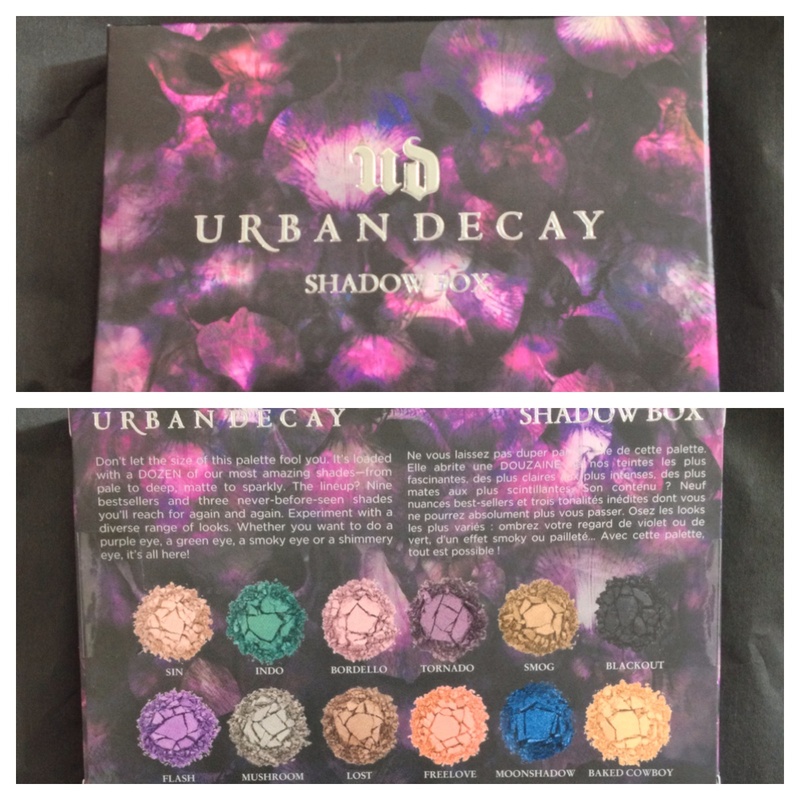 The packaging is really nice, it’s hard cardboard, with a purple and black flower design, and the lid is magnetic too, ensuring your shadows are safe. Swatched in order from left to right. The shadows themselves are very pigmented and possibly the best quality of pigmentation I have ever come across. They are bright, creamy and not chalky at all. You could easily use these without a primer and reach your desired make up look. 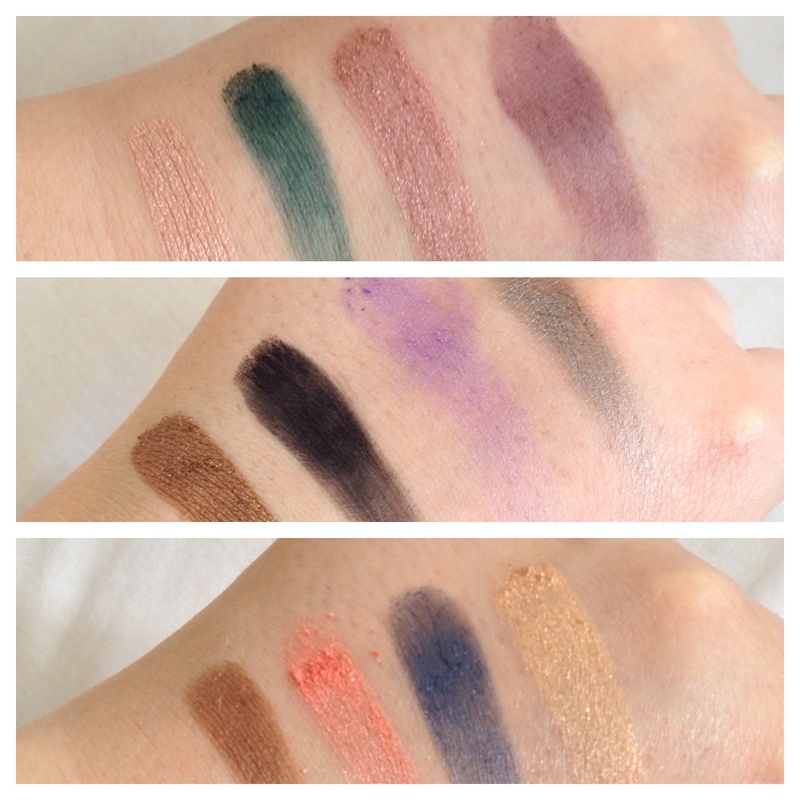 My favourite shadow from the box is Smog – A golden intense colour, but I also love Flash – the purple colour. This palette has no matte shadows, so unless you are just using a shimmer colour for an all over lid look, you’d need to complete your look with a matte shadow from elsewhere, but never-the-less this palette is amazing and at an even better price! I seriously recommend this palette to anyone wanting some shimmery, intense shadows in their life in one palette! It seriously is! I’m gonna need to get more UD shadows!